Whirlpool is one of the largest home appliance manufacturers in the United States. The company is well-known for its line of stoves and ovens. Whirlpool's ovens have a built-in self-cleaning feature designed to reduce the workload for stove operators. However, even the best self-cleaning Whirlpool stove can malfunction and lock down, preventing users from opening the oven. Learn how to troubleshoot a locked Whirlpool oven to get it open and resume baking and making your favorite meals. 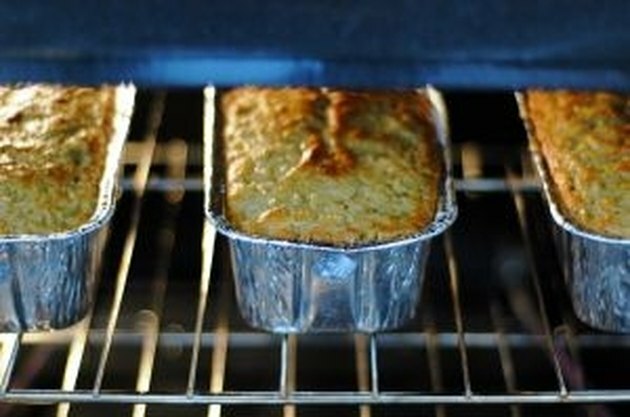 A Whirlpool oven can help you prepare your favorite baked goods. Verify that the Whirlpool oven is connected to its power source. The oven may sometimes lock down if experiencing a power surge or similar electrical problems. Additionally, check that a fuse hasn't been blown in your home's fuse box. Some older homes may not have the proper wiring to support a high-powered appliance such as a Whirlpool oven. If you are not sure if your wiring is sufficient, consult a local electrician. Check to see if the Whirlpool oven's Control Lock has been turned on, a safety mechanism designed to lock the oven and disable its keypad and display controls. A padlock symbol will be displayed in the corner of the Whirlpool oven's front display panel if it is locked. The oven will not unlock itself on its own even if it is disconnected from its power source. To disable, press and hold the "3" button on the keypad for five seconds until the padlock icon disappears. See if the Whirlpool oven is engaged in its self-cleaning cycle. During the self-cleaning process, the stove will lock its front door and will flash "OVEN LOCKED" on its front display. This is to prevent users from accidentally opening the oven and burning themselves during the high-heat segment in the cleaning process. If you must open the oven, first stop the process by pressing and holding the "OFF/CANCEL" button on the stove's control panel. If the oven remains locked, wait for the internal temperatures to decrease. The locking mechanism is temperature controlled and will not unlock until internal temperatures have cooled. Contact Whirlpool's service department if your Whirlpool oven remains locked and you cannot troubleshoot it or open it. All Whirlpool self-cleaning ovens are covered for five years after the original purchase date. Call the warranty team for assistance by dialing toll-free (800) 253-1301 in the United States, or (800) 807-6777 in Canada. Be prepared to give the oven's model number and purchase date.